This was announced by the official Xinhua news agency for which the police decided to release him after admitting his crimes and for poor health. The dissident had been in jail since April 3. Beijing (AsiaNews/Agencies) - The Beijing police department said Wednesday that Ai Weiwei has been released on bail because of his good attitude in confessing his crimes as well as a chronic disease he suffers from. On April 3, Ai was detained as he was boarding a plane to Hong Kong. He has been held without charge since then.Most analysts link the arrest of Ai Weiwei to the series of arrests of activists, lawyers, human rights, petitioners, unleashed after calls appeared on the internet for a "jasmine revolution" in China. Ai Weiwei, 54, is famous in China and abroad for his works of modern art, but also for his civic commitment to the victims of the Sichuan earthquake and for his criticism of the Communist Party. 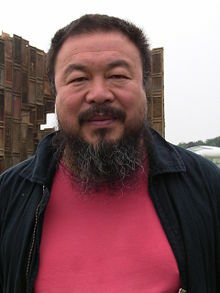 In January 2011 his studio in Shanghai was demolished and in December 2010 he was prevented from leaving China just before the ceremony in Oslo for the award of the Nobel Peace Prize to dissident Liu Xiaobo. Xinhua said that the organization Beijing Fake Cultural Development, has hidden a "huge amount" of taxes and "intentionally destroyed commercial documents," giving way to a police investigation. Ai Weiwei's sister has always defended her brother and noting that Ai is not the legal representative or the president of the Beijing Fake Cultural Development. In the past, many dissidents - including Wei Jingsheng - were condemned not for their political commitment, but for "economic crimes".